“We got so much history,” says Kelis as she sits on a plinth, wearing huge hair and an outfit that makes her look every bit the disco diva she most definitely is. She’s on a set that looks like it’s been pulled straight from a 70s dance show and, sure enough, we see she’s surrounded by silhouettes, frozen, ready to move. But then – plot twist! – the piano kicks in, the song shifts from 70s disco to 90s house, and the dancers are revealed to be wearing outfits more suited to Friday night raves than Saturday Night Fever. 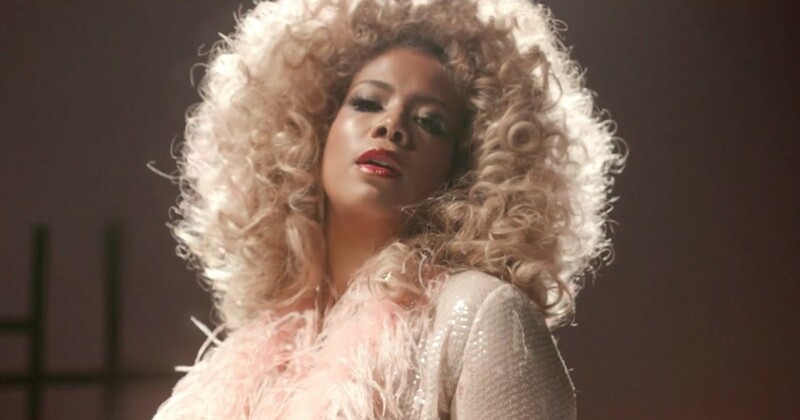 Inspired by his remix of her recent single, “Rumble”, Kelis took British producer Breach into the studio to transform the song into a brand-new cut, retitling it “The Key”. The shift from soulful R&B into huge dance banger is cleverly reflected in a video (from Oliver Hadlee Pearch, the brain behind Jungle's surprise-packed “Time” vid) that’ll make you want to stick a 90s smiley face badge onto your favourite 70s fur coat. We got so much history, indeed.